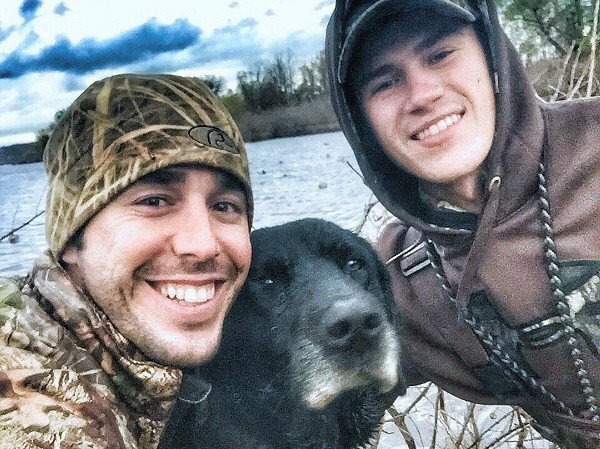 The search for country music singer Craig Strickland after he and a friend went missing last month following a duck hunt has come to a tragic end. The singer’s body was found Jan. 4. The 29-year-old vocalist in the country band Backroad Anthem had been duck hunting on Oklahoma’s Kaw Lake with friend Chase Morland, whose body had already been discovered. The two apparently embarked on their hunting trip in the midst of a violent storm that pelted the area with rain, sleet and snow amidst 45 mph winds and wind chills as low as 15 degrees, according to CNN. In an ominous tweet by Morland before the trip he warned of the danger. Search crews located the pair’s boat, which had capsized, along with Strickland’s dog Sam who survived the weather conditions and stayed with Morland’s body until the warden found him. Morland, 22, who worked at Gellco Outdoors in Fort Smith, Arkansas, was remembered in a People magazine story as a passionate outdoorsman who often had a smile on his face. The pair met about seven years and bonded over their love of the outdoors. Strickland, who married former Miss Arkansas USA Helen Strickland, formed Backroads Anthem three years ago. The group, which began as a cover band, quickly grew a following performing on college campuses in upwards of 100 gigs per year and had recently put out their first EP. A message of condolence on the Gellco Outdoors Facebook page was apparently met with so many negative comments that the business took the post down. “While we understand that everyone is entitled to an opinion, we at Gellco Outdoors ask that any negative or unnecessary comments be kept to yourself during this time of mourning and loss,” a recent post states. next articleIs This A Dog Or Bear Cub?